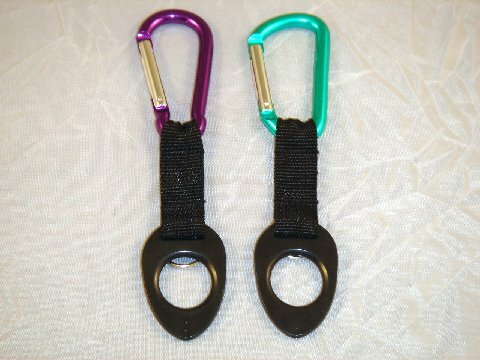 This is our 80mm carabiner in assorted colors with a 2 1/2" black web strap attached onto the carabiner with a 2" silicone attachment designed to hold a water bottle. 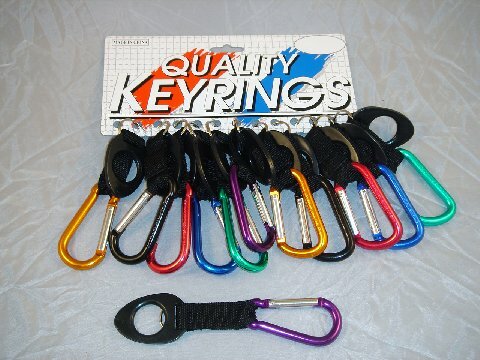 Available as a 6 color assortment: RED, BLUE, BLACK, GREEN, PURPLE, and GOLD. Packaging is 12/Card.